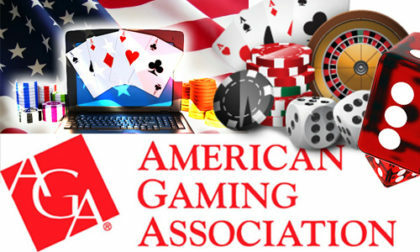 The American Sports Betting Coalition (ASBC), the sports-betting industry lobbying group recently launched by the American Gaming Association (AGA), has announced that the 184-member Natioal Indian Gaming Association (NIGA) has joined the ASBC ranks. The goal of the AGA, as fronted through the ASBC, remains the same: to end the the United States’ federal-level ban on sports betting, the Professional and Amateur Sports Protection Act (PASPA). “We are pleased to announce that the National Indian Gaming Association will be joining the AGA’s Coalition on Sports Betting, which will enable us to coordinate with and provide feedback to the AGA with regard to tribal gaming concerns as the Coalition advances its policy objectives,” said Ernie Stevens, Jr., Chairman of NIGA. The focus on exclusivity clauses has been a recurring topic wherever gambling has been expanded in numerous states in recent decades. Hundreds of the US’s tribal nations have launched mostly successful land-based casino destinations in since the Indian Gaming Regulatory Act (IGRA) was signed into law in 1988. Those casinos have been launched under gaming compacts reached between the tribal nations and the states in which those tribes reside. In many cases, tribes have successfully negotiated tribal exclusivity over certain forms of land-based gambling, something the tribes would like to extend over as many forms of gambling – land-based or online – as possible. Because the tribes have never been able to offer any form of sports betting however, partnerships such as this represent an in-common goal. The only US state where single-event sports wagering is legal is Nevada, and there are only three relatively small, tribal casinos in all of Nevada; those tribes were able to join the existing Nevada gambling market but were never able to demand any form of gaming exclusivity. The addition of NIGA’s 184-tribe membership to the ASBC ranks is more important when one realizes that many of the state-level challenges to PASPA are coming from states where tribal gaming reigns. While that does not include New Jersey, the leading force in the battle to overthrow PASPA, it does include many other pro-sports betting states. The AGA has recently noted that 13 states, including New Jersey, have already introduced legislation designed to go into effect should PASPA fall. Those other states are California, Connecticut, Hawaii, Maryland, Michigan, Mississippi, Montana, New York, Oklahoma, Pennsylvania, South Carolina and West Virginia. More states are likely to join the move as PASPA increasing shows signs of being in its waning months or years. The ASBC also maintains an online portal where sports-betting enthusiasts and supporters can learn more about the growing anti-PASPA movement. That website is available at sportsbettinginamerica.com.